Once upon a time, email was a fun treat. Does anyone remember the 1998 movie “You’ve Got Mail”? Each arrival was greeted with the phrase “you’ve got mail!” It was an event. That world is gone for most of us. In most workplaces, email is a powerful tool for communication. Email is also a source of professional pain and overwhelm. It doesn’t have to be that way. Previously, I wrote 12 Ways To Use Email Better to help readers build their baseline skills with email. Today, I want to go deeper to explore the gold mine in our email. Your email archive is a valuable resource in boosting your productivity, if you take the right perspective. Mining your email for gold is easiest to use with Gmail which is well known for its vast archive and outstanding search capabilities. However, I have also used this approach with good results with Microsoft Outlook as well. Regularly using these practices will improve your productivity by combatting forgetfulness and reminding yourself of your achievements. Most significant work takes tasks and multiple people to achieve success. Given that reality, follow up is absolutely vital. In formal meetings, follow up may be straight forward – simply review the action items noted in the meeting minutes. There are many circumstances not covered by such documentation: meetings between two people, short phone calls and brainstorming sessions to name just a few. In those cases, reviewing your email is helpful. Emails sent and received from managers at your organization are important. Success starts by determining whether or not you delivered against the request. Once you reach that level, you can follow up to determine client satisfaction and see if there are additional needs. Without follow through, meetings produce minimal value. Reviewing your email for messages related to meetings you attend makes a difference. Specifically, you may want to ask follow up questions to clarify an action item or check whether somebody else at the meeting needs help. Remember that quote you requested last week? Maybe you have already forgotten it. Simply assuming you will receive timely responses is a mistake. Instead of hoping for a response, send a follow up message on supplier requests that have been outstanding for more than five business days. Requesting reports, data and other information from other departments is a regular activity for project managers. Yet, those requests are easy to neglect and lose in the shuffle. If you directed your request to someone you haven’t interacted with before, following up is even more important. They may not understand the reason for your request or how you will use the information. Tip: A short phone call is an excellent way to build rapport. After your request is fulfilled, remember to thank the person who assisted you. With constant change at the office, it is difficult to keep track of everything we deliver. Hopefully, you have specific goals that you are working to deliver against as a starting point. Yet, goals are only part of the story for accomplishments. You need evidence and details to demonstrate your success. To obtain those details, mine your email archives for additional insights. Attachments you send via email usually mean a report, an analysis file or some other tangible piece of work. On a monthly basis, review these items. You may be pleasantly surprised with how much you are delivering. Tip: Look for patterns in the material you develop. If you are regularly delivering PowerPoint presentations, look for ways to reuse these files or build a template. Gmail Tip: Use Advanced Search operators in Gmail such as “has:attachment” to find emails that have attachments. Emails sent to clients are a rich resource filled with potential material for accomplishments. You may have delivered a risk analysis, provided minutes for a key meeting or provided an alternate plan to ensure the project was completed on time. Tip: Search for replies from clients. These comments will provide ideas for improvement and material to include in your annual performance review. Over time, our email habits provide clues regarding relationships. Specifically, the quantity and quality of communication has a major impact on relationships. Review your sent email for the past week to identify patterns. You may find that you have been neglecting key stakeholders. Or you may find that you have carried through your communication plan effectively. What’s the accomplishment here? For project managers, the accomplishment could include completing your communication plan and managing stakeholders successfully. Taking note of your accomplishments is the step that brings everything together. Here’s what I recommend: use a spreadsheet to take notes on your accomplishments each month. With a few simple categories (e.g. Date, Activity Description, Goal, People Impacted, and Benefits), it is easy to track accomplishments. With this process in place, preparing for your annual review becomes much easier. Tip: Set a recurring reminder on your calendar to update your accomplishments spreadsheet on a monthly basis. There are many tools and techniques to become better with email. In this section, I cover a few key tools and methods to make your email more productive. Gmail App For The iPhone. From time to time, Apple’s Mail app doesn’t work for me. In those cases, I like to have this app available as a backup. Boomerang for Gmail. This tool makes Gmail more powerful. With this tool, you can schedule emails (e.g. write an email at 9pm and schedule it to send at 8am the next day!) and track emails for followup. How To Write A Damn Good Email Signature. 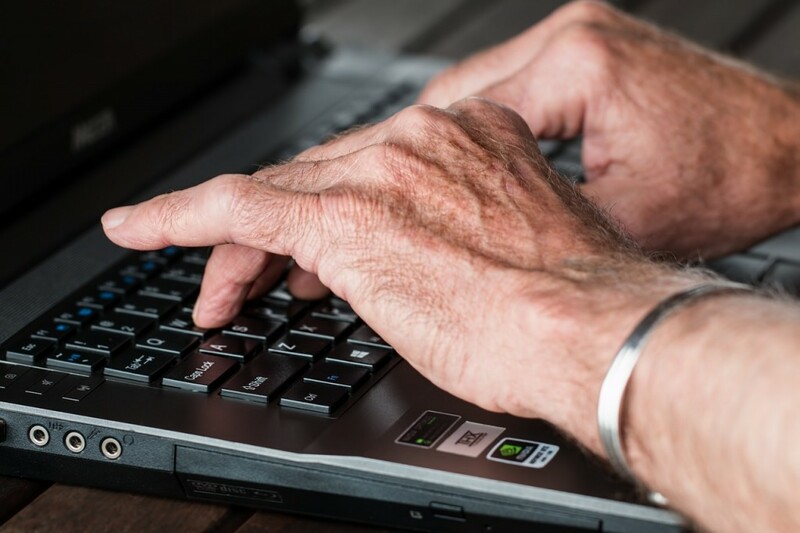 Published by Yesware, a technology company that serves sales professionals, this article provides some interesting approaches to crafting an email signature. I’m not sure I agree with the image based email signature approach. My 10 Essential Email Habits. Leo B, author of Zen Habits, shares his approach to email. A key point from this article is to write short emails (“I usually reply with 1-3 sentences”). Unroll.me. Over time, you may have subscribed to a number of email lists. This tool is a great resource to unsubscribe from email lists quickly. I eliminated over 100 subscriptions the first time I used it. In June 2014, ProjectManagementHacks.com was born. I’m happy to share that the website has come a long way in that year. In today’s post, I will share lessons learned and the most popular resources I have created. The second half of 2015 will bring major developments here that will add even greater value to your career growth. Thanks for taking the journey with me – there’s more to come! I write to add value to people and I’m honoured to see how many people have joined the ProjectManagementHacks.com community. Wen you start a website, you never know exactly how it will turn out. I’m delighted that so many people have visited and shared the articles. 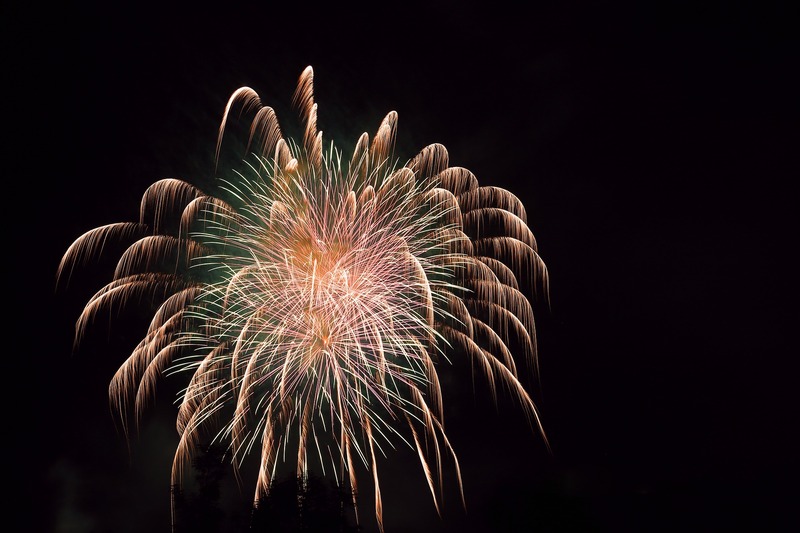 I have to give a special shout out to four people: Karin Hurt of Let’s Grow Leaders (who has included my articles in her festival posts), Paula Kiger and Becky Robinson of Weaving Influence (who also shared my articles) and Dave Gordon who runs the The Practicing IT Project Manager website (a key early reader and supporter). In building the community, I have focused my effort on building the email newsletter list. For most readers, email remains the key tool in professional activity. For the foreseeable future, I will continue to focus on growing the email list. I also enjoy connecting with readers in the comments section of each article. Over the most year, some articles have become highly popular. The following articles have all attracted over a thousand readers each. Even more, these articles continues to attract attention months after being published. It’s interesting to see that conflict, training and resources have stayed popular. In the coming months, I will be exploring new topics. For example, I will be exploring landing a promotion and other career development techniques. I plan to continue publishing new articles every Tuesday for the rest of the year. In developing Project Management Hacks articles, I have used interviews to grow my knowledge and connections. I first learned the merits of interviewing in the online world from Andrew Warner of Mixergy and John Lee Dumas of Entrepreneur on Fire. In this section, you will learn more about me and some of the interviews I have published over the past year. Being featured in the Globe & Mail was a great leap forward. As a fan of podcasts since 2008, it was also a great treat to be featured on the PMChats.com podcast. As 2015 continues, I look forward to sharing my ideas in more interviews. I enjoy the opportunity to explore stories and ideas in depth – that’s one of the great merits of the podcasts. Take note, podcast fans: in the section below, I suggest a few ways to earn free PDUs using the iTunesU service. Over the past year, I have published dozens of articles on other websites including Lifehack.org, CIO.com and ProjectManagement.com. In this section, you will find links to some of these articles. This section includes articles that I consider highly valuable and a few of my own selections. Read on and be inspired to grow further! In addition to the above articles, it was a great honour to win several awards from IT World Canada. Technology has long been an area of interest for me. I enjoyed the process of learning more about Big Data trends and the potential for Internet of Things technology. My focus on interviews were one of the reasons that I achieved success in those articles. What is your favorite Project Management Hacks article of the past year? Habits guide 40% of behavior according to a 2014 report from Science Daily. That means almost half of our daily activity happens without you giving much thought to what you’re doing. Habits are like fire: they can make life better and harm you. For example, you may have a good habit of saying “good morning” to everyone in your department in the morning. On the other hand, you might have a bad habit of staying up late every night, again and again. In this article, you will learn about the foundation habits that can enhance your productivity quickly (no software needed). 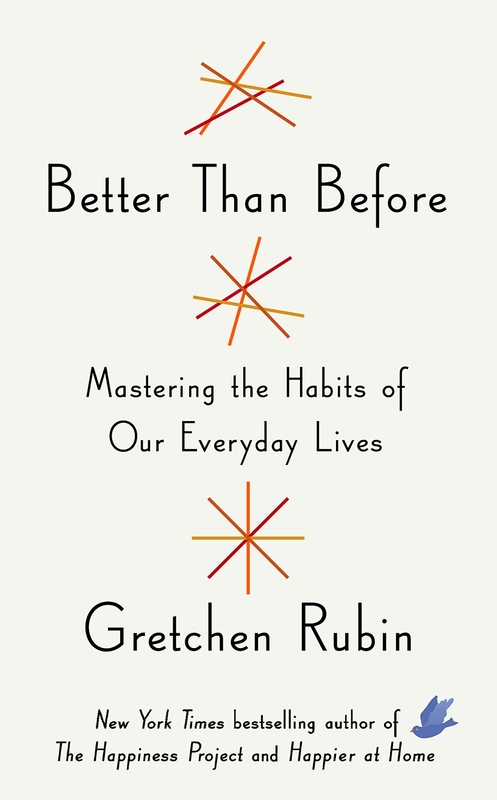 I was inspired to write this article because I recently read “Better Than Before: Mastering the Habits of Our Everyday Lives” by Gretchen Rubin (in fact, I met Rubin for a book signing when she came to Toronto!). 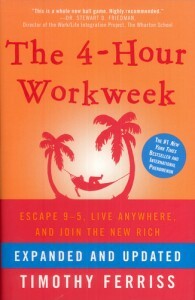 It was an excellent book and it got me thinking about ways to improve our productivity using habits. The customer is angry because deliverables are not ready for inspection. You are upset because you have to work long hours to analyze a proposed change request that could significantly impact the project. One of your team members keeps showing up five minutes late to meetings which causes everyone to repeat themselves. As with many areas of life and performance, it is helpful to review and affirm the first principles. From Rubin’s book, she suggests that there are certain “foundation habits” that shape almost everything else we do. At first glance, these habits may not appear directly related to our work. Keep in mind that we bring ourselves to our work. If we are “running on empty”, the quality of our work will soon decline. Effective sleep habits have been an area of struggle for me in the past. However, it is a key habit that is worth attention and effort to improve. When you cut sleep, your performance declines. Even worse, research indicates that you will not even be aware of the fact. If you are having trouble working through complex project management problems, improving your sleep habits (quantity and quality) may make the difference. I also find that proper sleep improves my self-control capabilities, a key input for staying professional in stressful conditions. As professionals, we are used to working with our minds. Most days, I am busy reading, writing and working with data (e.g. databases, spreadsheets and so forth). It is easy to fall into the trap that our productivity and results are purely mental. That’s a huge mistake. People who had smaller decreases in the time it took to complete the treadmill test 20 years later were more likely to perform better on the executive function test than those who had larger decreases. Across the board, the researchers found better verbal memory, faster psychomotor speeds, and improved executive function at 43 to 55 years of age to be clearly associated with better cardiorespiratory fitness (CRF) 25 years earlier. That’s compelling research. However, you may not be motivated by that type of long term benefits. In my personal experience, starting the day with exercise puts me in a good mood for the rest of the day. When you are working on challenging projects, I find it is helpful to start the work day in that way. Out of the foundation habits, project managers tend to be outstanding on creating and maintaining external order. After all, a great deal of project management training, software and resources exist to keep us in order. Even if we assume that your project and work tasks are in excellent condition, there are other areas to consider such as your office, home office (if applicable) and car. I find this point about clutter and order particularly compelling since it aligns with the organization ideas of David Allen’s excellent productivity book “Getting Things Done.” The single best way to maintain external order, especially papers and digital materials, is the Weekly Review process that Allen recommends. Oh, there is one more foundation habit – eating and drinking well – but I am omitting that. After all, you need a few good reasons to read the book. In looking at your own habits, what basic habits keep you productive day after day? George Washington used career hacks to get ahead in his career and we can use the same timeless principles today. In this article, I will share four principles that young Washington followed as he built his career in colonial America, long before he achieved his worldwide reputation. For years, I’ve been fascinated by the formative leaders of leaders and others who made their impact on the world. I remember reading a biography of Bill Clinton in the 1990s and being fascinated with Clinton’s early dedication to politics as a student and success at winning the Rhodes Scholarship. For Clinton and so many others, these early disciplines yielded results for decades to come. When I discovered Ron Chernow’s outstanding biography of George Washington from Ryan Holiday‘s article 25 Recommendations For Life Changing Biographies For The Voracious Reader In You, I was excited to start reading about the man who became America’s first President. Today, I will focus on the success principles that Washington followed that set him up for success in the Revolutionary War and beyond. Unless otherwise noted, all examples are drawn from “Washington: A Life” by Ron Chernow. Note: My approach in this article is inspired, in part, by James Clear‘s excellent Lifehacker.com article What Mozart and Kobe Bryant Can Teach Us About Deliberate Practice. After the Revolutionary War, everyone called him “General Washington.” Given his reputation in military affairs, I was surprised to learn that Washington did not start his career in the army, nor did he start out with an interest in politics. Fourteen year old Washington nearly joined the Royal Navy. His mentor, Fairfax (more on him below) and his older brother Lawrence both encouraged him to join the navy as a midshipman. Several factors ended up sinking the dream of a naval career. Washington’s mother, Mary Washington, discouraged the plan because it would take Washington far away from their Virginia home. A knowledgable relative in England also noted that Royal Navy’s tendency to discriminate against colonials. Instead of the armed forces, Washington found his first career in surveying. This profession suited his lifelong interest in the outdoors and his passion for precision. Even better, surveyors had two significant career advantages available to few others: the opportunity to earn immediate cash income (e.g. in 1747, he earned 3 pounds and two shillings, when he was fifteen years old – that’s £7,411 in 2013 terms or $11,100 US – according to Measuring Worth). Even better, surveying offered the chance the acquire significant real estate at low prices, a highly valuable asset in an agrarian economy. If the first career you choose does not work out, there’s no cause for alarm. Instead, keep looking for opportunities for a career that suits your interests (e.g. Washington’s interest in land and enthusiasm for mathematical precision). Once you find a career that interests you, look for all the opportunities it presents for advancement. For example, if your career gives you the opportunity to travel, take the time to maximize your loyalty programs for free travel. Growing up, Washington had his share of difficulties. His father died in 1743, when Washington was only eleven years old. In addition to the emotional blow, the Washingtons suffered a significant financial loss that worsened during his teenage years. In fact, Washington effectively had to end his formal education when he was a teenager, an experience that shaped him for the rest of his life. Given these challenges, Washington was fortunate to start his career as a surveyor. In addition to the direct career benefits, Washington also benefited from his growing social network in other ways. For example, Washington quickly understood the attractive jobs would not simply fall into his lap. At age 20, Washington successfully lobbied for a military appointment and became Major Washington (a role that came with an annual income of £100: equivalent to £200,000 in 2013 terms [$330,000 US ]). Landing this role demanded on a combination of self-confidence and ambition. Yet, those demands would have come to naught if Washington had not developed relationships. Later, Washington continued to expand his network by joining a Masonic lodge, an affliation he would maintain to the end of his life. Developing your career through networking is a key tool in the modern professional’s career advancement toolkit. Powerful friends are undeniably helpful in building a successful career. Washington’s early success in landing the equivalent of a six figure job would not have happened without his relationships in the colonial government. Washington’s early career spanned two worlds: the frontier and polite society. 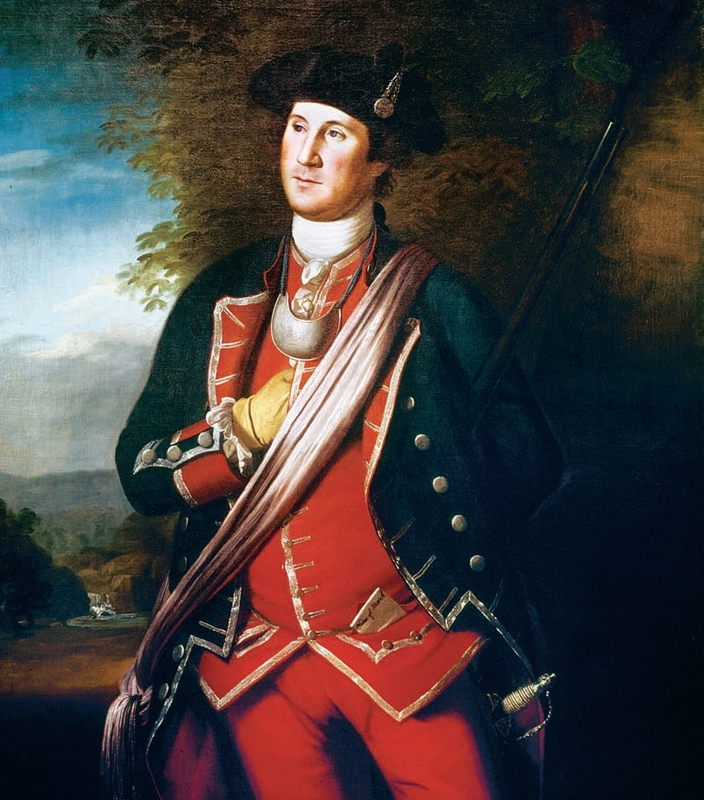 As a surveyor and soldier, Washington quickly became skilled at travelling through difficult conditions. In fact, we could learn a lot from his Stoic approach to physical discomfort. However, that is not our focus today. As his career developed, Washington sought to learn the social graces. In colonial America, social interactions often followed a pattern and violating that pattern would mark one as an outsider. Washington learned these skills using a combination of approaches. First, he studied books on the subject such as The Rules of Civility and Decent Behavior in Company and Conversation. Second, he was careful to observe how others navigated the formal parties and other events that defined his era. In social interactions, Washington had a reserved style – he was the master of silence and rarely spoke in haste. In this way, Washington achieved significant social success by combining his knowledge of social skills and his reserved style. Whether you are seeking a military career, rising to the top of a Fortune 500 firm or another path, it is vital to understand the rules of the game. While the 21st century doesn’t value civility and etiquette in the same way as 1700s Virginia, that doesn’t mean there are no rules. To discover the rules for the game you are playing, study successful people in two ways. You can read their books (especially biographies and autobiographies: Richard Branson’s “Losing My Virginity” is an excellent autobiography for entrepreneurs to read). You can also seek to meet them at events where they will give speeches or presentations. Take special care to study which rules successful people choose to follow and when they decide to push the envelope. Unlike John Adams or Thomas Jefferson, Washington did not enjoy the benefits of an advanced education. At times, he was frustrated by his lack of formal education (it didn’t help that some of his peers occasionally pointed out this fact). However, Washington devised a plan to improve his knowledge through extensive study. Washington’s reading habits testify to his far reaching interests. He read ancient philosophy and history: Stoic philosophy (i.e. Seneca’s works), the works of Julius Caesar and the life of Alexander the Great were ongoing interests. From his letters, we can tell that he was deeply familiar with Shakespeare’s plays. In running Mount Vernon, Washington sought out the latest techniques and technologies in agriculture. As President, Washington read many newspapers even those that espoused sharply critical views. Above and beyond reading, Washington was a committed diarist who regularly observed everything around him. This constant study is a key reason he was able to shoulder the burdens of military and political leadership later in life. Regular reading is an important aspect of a professional development program. In addition to reading, there are many other training resources available to us. Effective reading for career advancement includes both topics in your field of interest (e.g. reading about software development, sales or project management) but also the big picture: biography, history, literature and philosophy. As your career grows into a leadership role, make sure keep an open mind for critical perspectives. As Washington would tell you, it is easy to become isolated in the halls of power. For more career advancement strategies, join my free email newsletter and receive a free copy of the career advancement toolkit. There’s an invisible enemy that can kills projects. The Return of Sherlock Holmes. 1903. 1) The project sponsor goes quiet. At first, the lack of intense questioning may seem like a relief. After a few weeks, you realize that the sponsor was withdrawing from what they perceived to be a doomed project. It’s hard to tell unless you find out what’s going on. 2) A previously very outgoing team member stops contributing to the project discussions. Perhaps the team member is facing some difficult problems at home. In any case, the sudden decline in contributions may be an early warning sign that you need to pay attention to their deliverables. 3) Lower than expected charges from a supplier. At first glance, this appears to be cause for celebration. I know what you’re thinking: “We budgeted $100,000 for IBM and only got billed $50,000 – that’s great!” I view such declines as a symptom of a deeper problem – perhaps the supplier misunderstood the project’s requirements and only delivered half the features you thought you requested. 4) No bugs or malfunctions during QA testing. Software design is complex. Complex systems rarely perform as expected. That means there ought to be some bugs in coding. If there are none at all, two possibilities suggest themselves. First – the QA tester is not looking closely enough. Two – the software in question is incredibly simple and thus has a limited probability of malfunction. Before celebrating your “clean first draft” code, a second QA effort may be in order. 5) Ignoring strategy during planning. Mark A. Langley, President of the Project Management Institute, recently wrote that “project managers are now required to be strategists.” It is easy to jump in technology and the nuts and bolts of projects right away. If nobody connects the project to the organization’s strategy, you risk running a project of dubious value. 6) Skipping the risk discussion. In certain sectors – finance and health, for example – risk is constantly considered. In some cases, risk is ignored. That’s an understandable reaction – few people enjoy thinking about risk. Tip: If you’re struggling to get started with risk, read my article How to Prevent Project Failure with Pre-Mortems. 7) The missing skills challenge. Many are attracted to work on projects for the potential to learn new skills. The drive for growth and development is admirable. Project leaders should celebrate this drive. However, this drive to learn can be a mixed blessing. If a project team member lacks training resources, they may struggle. Nobody likes to admit when they’re struggling to learn something new either – so they may not tell you. The proactive response to this challenge is simple, though not easy. Add a step in your project planning process to consider skill gaps. Weaknesses in the project team may be especially clear in the area of technical skills. Keep in mind that soft skills and political capital in the organization are equally important. Project management is about changing the world. Sometimes, change is hard. That’s where stress management techniques come into play. If you ignore stress, you’ll explode at the first helpless victim you encounter. That is an easily avoided mistake. For some people, retail therapy is their preferred stress relief mechanism. It’s fun to go shopping for books, pick up one of those $0.99 Amazon Kindle books or get some new clothes. Unfortunately, shopping is ineffective at addressing the root causes of stress. At best, retail therapy gives a momentary relief. Are you one of those people who think that stress doesn’t matter? That high stress levels are somehow something to be endured or suffered through, damn the cost? Let me challenge that perspective by sharing the cost of workplace stress. Work is the most important source of stress. Statistics Canada found that 62% of highly stressed workers described work as their main source of stress in a 2010 study. Stress is a risk factor for numerous diseases. Health Canada reports that stress is a known risk factor for heart disease. Stress levels also impact weight gain and weight loss. 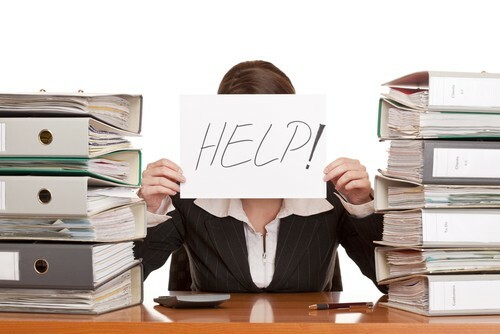 Stress is a major cause of absenteeism. Workplace stress lowers work quality. Making the case for investing in stress management programs is easy. According to the Canadian Federation of Independent Business, each dollar invested in stress management yields $3.40 in future savings. The price of failing to learn stress management techniques is high. Even if you are somehow comfortable neglecting yourself, what about your team? As a project manager, you have a responsibility for your project team. Without them, you have no ability to deliver the project on time. As you continue to learn and practice these methods, please share them with your project team. You’re here to learn how to increase productivity. Great! Read on to learn how I used a simple count down timer to improve my focus. 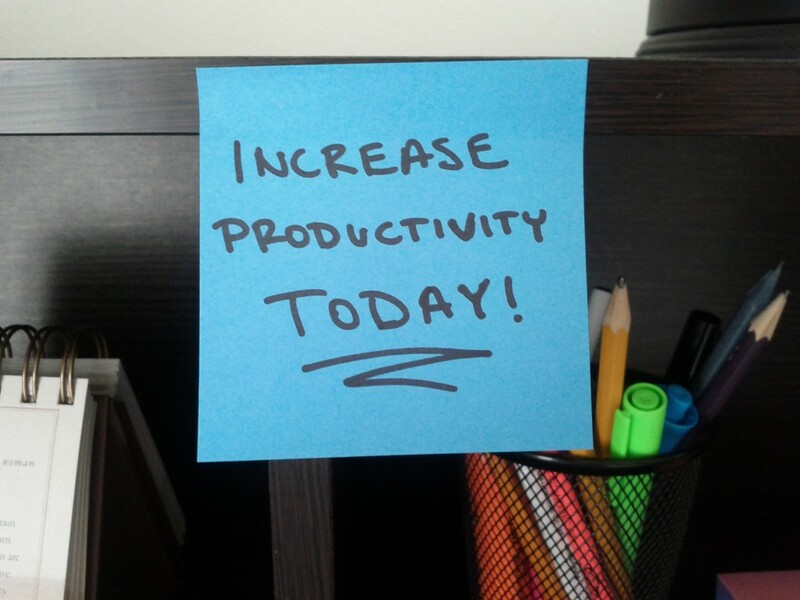 How can a clock increase productivity? Read on to learn the step by step process I use. Whenever I’m facing a task that is dull, I simply set the timer and use the Pomodoro technique. This method saves me when I’m struggling to focus. It helps fight procrastination. You can fight the urge to browse the Web too. Best of all, this technique does not cost any money and takes less than an hour to put into action. The Pomodoro Technique to increase productivity was created by Francesco Cirillo. Before you start buying books and courses, I encourage you to experiment with this practice first. After all, it may not suit you. This productivity tip will be especially valuable if you are engaged in complex and creative work such as writing, programming, or art. Getting started with this practice takes a few simple steps. I recommend you follow these steps to the letter at first. You can always make changes in the future when you are a pro. Until then, stick to the basics. Get A Glass of Water (or Tea or Coffee). Having a drink on hand makes life better. There is no urge to wander off for a few minutes while you work. Work: For the next 25 minutes, work exclusively on your task. Ignore everything else. Reward Break. At the end of 25 minutes, take a 10 minute break! I recommend actually getting up from your desk and walking around for a few minutes. You could also do a bit of light exercise – squats or push ups – and enjoy a few minutes with your current book. The above technique can be applied equally well to dull and necessary tasks and creative work. This method to increase productivity is one of the best ways I know to improve your focus in a short period of time. If you find it completely impossible to focus with this exercise, there may be more significant problems undermining your productivity. As Spark: The Revolutionary New Science of Exercise and the Brain shows, the mind and body are linked. In the short term, sleeping more and getting daily exercise will do wonders for your energy. Taking care of your body will improve productivity. Over a quiet twenty four hours in Bruce Country, Ontario, I experienced a an Internet Sabbath – one version of the low information diet – delivers no less than four results. First, it improved my creative capabilities. Second, the experience caused to me read books more deeply. Third, the experience prompted me to pick up pen and paper to express my ideas. Fourth, and most importantly, I found myself spending my time and energy in sustaining my relationships. Let me explain why I got here (I always love background and exposition in movies so I’m including it in my writing) and why I think you can benefit from the low information diet, or, if you prefer, the low information diet. In “The 4-Hour Work Week,” Tim Ferriss introduces the concept of the low information diet. In a world of CNN, Tweets and more information than you can shake a stick at it, it was a novel concept. As a long term news junkie – I’ve spent 10 Euros to buy a single English language newspaper in Europe while travelling – the low information diet concept was always a struggle for me. As with many ideas, repeated exposure in different contexts made all the difference. In May 2014, I read “The 4-Hour Work Week” again and this time, I READ it with a pen in hand. I made notes on many of the pages. I was determined to learn from the book – everything from the concept of mini-retirements (e.g. my interest in moving to France to six months) to running a muse business that provides a healthy six figure income. In fact, that’s one of the reasons Project Management Hacks exists in the first place. The turning point that inspired me to implement a variation of the low information diet came from an unexpected source – a memoir on religion. My wife recently surprised me with a copy of “The Year of Living Biblically” by A.J. Jacobs and I started it yesterday. In fact, I read the first 100+ pages in a single day; a reading pace far in excess of my usual speed. It helps that Jacobs is a gifted author and I’m a fan of his work (I’ve very much enjoyed his other memoir books: The Know-It-All, The Guinea Pig Diaries and Drop Dead Healthy). It also helps that I’ve been intrigued by meditation and mindfulness for several months now so a memoir inspired by religious theme struck me as intriguing. The intersection of the Sabbath and Tim Ferriss pushed me over the edge and brought me to take action on this selective ignorance project. As I building a business while I have a corporate day job, it is difficult to stop work entirely on weekends since that is one of my few opportunities to work on building my enterprise. My approach was to take what I call “an Internet Sabbath,” – simply going twenty four hours without using the Internet. Since I carry an iPhone around with me by habit, this is harder than it sounds at first glance. 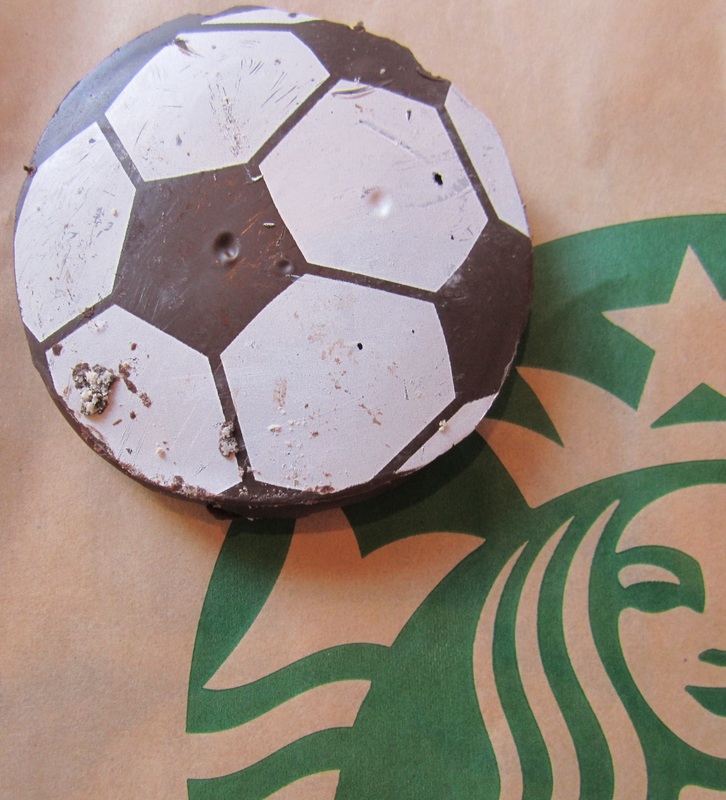 Last week, I bought a World Cup cookie and gave it to a colleague. She immediately brightened up and we got over our argument from earlier in the day. That is the Cookie Hack in action. To get started with the cookie hack, start small. I know that some of you out there are already thinking about baking a dozen cookies (or more!). For now, I’ll ask you to restrain that admirable impulse. For now, simply buy 2 cookies. The cookie hack is a single gesture you can use to improve a professional relationship: it is best done on a one on one basis. Action: Choose one person you work with at your office who appreciates a cookie (hint: 95% of people appreciate a cookie, especially a surprise cookie! 2. What Cookie To Buy? When I developed the cookie hack, I simply went to my local Starbucks and bought a Soccer Ball shaped cookie. After all, the World Cup was in progress and soccer was on everyone’s minds. I also got two Starbucks stars (i.e. Frequent Flyer points for Starbucks) for buying the cookies, so that made it easy. I recommend choosing a cookie that is visually interesting in some way and in good condition. Since we’re giving away a cookie at the office, avoid cookies that appear likely to crumble. After all, you don’t want to create a mess for you or the other person! Action: Pick a nearby coffee shop or other establishment where you can buy a cookie nearby your office (I suggest the local Starbucks; feel free to patronize your favourite bakery if you are lucky to have one nearby).